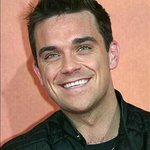 Robbie Williams wants your help to raise awareness of the plight faced by children in Syria. From Robbie’s website: "As a UNICEF UK ambassador and someone who holds the issue very close to his heart, today Robbie’s raising his voice along with the charity to help make some noise for the children of Syria. “The worst winter in 10 years and exposure to unspeakable violence is leaving children cold and frightened. With heavy snows, plummeting temperatures and extremely limited food, fuel, clothing and shelter, children are freezing, traumatised and in need of our help. To find out how you can help spread the word, click here.